The Election Commission of India (ECI) announced on Sunday, the dates for elections in India. I have been invited to conduct opinion polls in India to determine support for parties. Election polling is restricted from a day before voting till the last hour of voting. Pollsters can release results up to the day before the voting commences and right after the voting ends. The ECI knows it must hold an election and, therefore, started making preparations for it – making sure every adult over 18 was on the list – some 900 million voters. In Guyana, we have just under half a million voters, and the election commission seems to have serious difficulty preparing for an election even though it knew since December 22 that it must be prepared to hold elections by March 19. The ECI Commissioners and staff are professionals and unlike in Guyana, they don’t favour any party. They are true professionals. The Chairman or Chief Election Officer in India is not a stooge of any party. There are some other major differences in how GECOM and ECI function. Unlike in Guyana with GECOM, the ECI is totally independent of Governmental influence. The India Government cannot direct Government on preparedness or when to call elections. ECI is perennially prepared for elections because when a Government collapses it must hold elections within a month. Elections are held five years from the last elections and the new Government is sworn in just over a week after the counting of ballots and official declaration of results. The new Government in India must be sworn in on June 4 as per the direction of the ECI. Unlike in Guyana, in India, when a Government loses a no-confidence vote, elections are immediately held. Also, unlike in Guyana, voting in India takes place over several days. In this year’s elections, voting will be done over seven days and would last just over a month. India’s elections are generally held over several phases in order to allow for the transfer of poll workers and security. Some 200,000 personnel are involved in the process. Some 100,000 security forces are totally under the control of ECI and follow their directives. Government cannot instruct the security forces. The important point of difference between India and Guyana on electoral matters is that unlike in Guyana, the ECI is totally independent, with its own budget and personnel and does not seek to rig elections in favour of a party. The ECI recruits its own staff with “politically minded people” blanked. Staff are permanently employed and must not have any affiliation with any party. Government cannot fix dates for elections although it can make suggestions. The ECI decides on dates for elections. The ECI is extremely powerful; it has its own security forces with the power to confiscate money of candidates or parties if the staff suspects the money would be used improperly like bribing voters. Once a Government loses a no-confidence vote, it cannot hold Cabinet meetings. An election date is fixed within six weeks. And once a date is set for elections, Government is prohibited from engaging in new policies and announcing new programs; new money cannot be spent. The election moral code of conduct comes into play. No party enjoys an advantage. The Government media is shared equally by all contesting forces unlike in Guyana where there is one-sided coverage. The ECI can sanction candidates and parties and can also fine them and confiscate their monies or freeze their bank accounts and discipline State media. 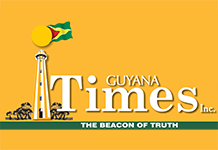 With the issues having to do with GECOM’S preparedness for elections following the Government’s defeat in the no-confidence vote, perhaps Guyana can look to India for reforms of its elections commission to make it totally independent of the political forces.